Johannesburg, Wednesday 31 January 2018 – SABC Radio Station, Radio2000 has been invited to tour Tanzania from 4 – 11 February 2018 by Tanzania Tourist Board. The invitation is to establish and strengthen a long term relationship with the station and to create content around the annual Sauti Za Busara Music Festival and tourism in Tanzania. 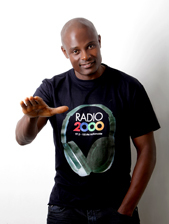 Radio2000’s breakfast show Planet Haaibo will broadcast from various tourist attraction sites in Tanzania such as Serengeti Park, Mount Kilimanjaro and Zanzibar from the 5th – 10th of February 2018.The Station has through the years forged relationships with African States, Embassies and High Commissions celebrating Africa Day and promoting #SayNOToXenophobia campaigns. Radio2000 has broadcast at various High Commissions during AFCON tournaments and Africa Day, highlighting trade missions between South Africa and other African countries. In 2017 Radio2000 hosted a successful Africa Day and Heritage Day respectively at the SABC where various African Embassies and High Commissions were invited to exhibit their arts and culture as well as to promote tourism. Following those events, Tanzania Tourist Board saw it befitting to extend the invitation to the station to visit the country and to see what they have to offer. Radio2000 is the preferred station for South Africans with a mature mind-set who are looking to engage in positive and constructive dialogue to build, strengthen and unify the country and its people. Appealing to a diverse audience, the station offers cutting edge adult contemporary content that covers the latest in breaking news and issues of national importance, playing a blend of the best in local adult contemporary music from 60’s – 90’s including current hits! Radio2000 is the only station that offers the most exhilarating live commentary of the most popular spectator sports. Through Radio2000’s compelling and relevant content, the station continually strives to create the best memories in radio for its listeners leaving audiences with a warm sense of nostalgia and a feeling of togetherness. Radio 2000 is the only national platform that offers advertisers access to the largest geographic footprint of South African adults.